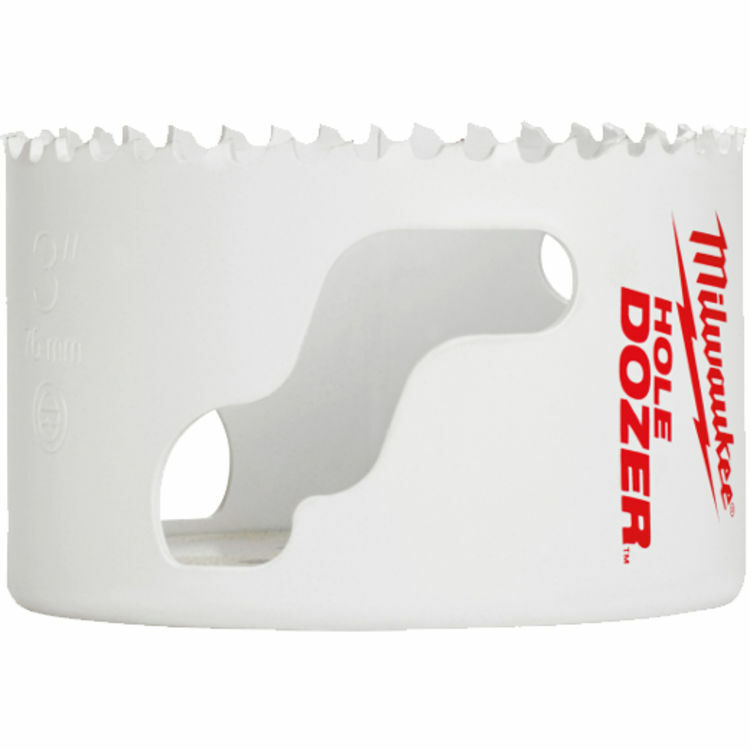 Milwaukee 49-56-9631 Ice Hardened Hole Saw 2-1/2"
Milwaukee 49-56-9631 Ice Hardened Hole Saw 2-1/2". The Milwaukee Ice Hardened Hole Saw delivers up to 50% longer life and 2X faster cutting than the competition. The Milwaukee Ice Hardened Hole Saw is made with a proprietary cryogenic process that consistently hardens to the core. The result is performance thatâ€™s superior to traditional heat-treat processing. The saw utilizes bi-metal construction with 8% cobalt for increased wear resistance under high operating temperatures, and optimized tooth form for greater cutting speed. For fast, tool-free change-outs, use Milwaukee's universal Quick-Change Arbors. 49-56-7210, 49-56-7240, 49-56-7250, and 49-56-9100. Shipping Dimensions 0.4" x 2.5" x 1.9"